Modern Energy Foundation is a short course for anyone interested in learning how a wide range of Modern Energy techniques can improve their lives. In this video series by Silvia Hartmann, you'll discover the history of Modern Energy techniques, EMO Energy in Motion, MET Modern Energy Tapping, SM Super Mind Enhanced Creativity, MSM Modern Stress Management and The Energy of Attraction. This Guild of Energists "It's All About Energy" SUE Scale Pull-Up Banner, featuring the energy men from Energy EFT Foundation, is a great way to demonstrate Silvia Hartmann's SUE Scale (also known as the Energy Scale) to clients and trainees in workshops, live trainings and one-to-one sessions. Pleasing to the eye, professional and colourful, the SUE Scale pull-up banner is the perfect addition to any live event. Highly recommended for Trainers and Practitioners who hold client sessions, workshops, public events and trainings on a regular basis. This Guild of Energists "MSM From Stress to Success" SUE Scale Pull-Up Banner, featuring the energy men, is a great way to demonstrate Silvia Hartmann's SUE Scale (also known as the Energy Scale) to clients and trainees in workshops, live trainings and one-to-one sessions. Pleasing to the eye, professional and colourful, the SUE Scale pull-up banner is the perfect addition to any live event. 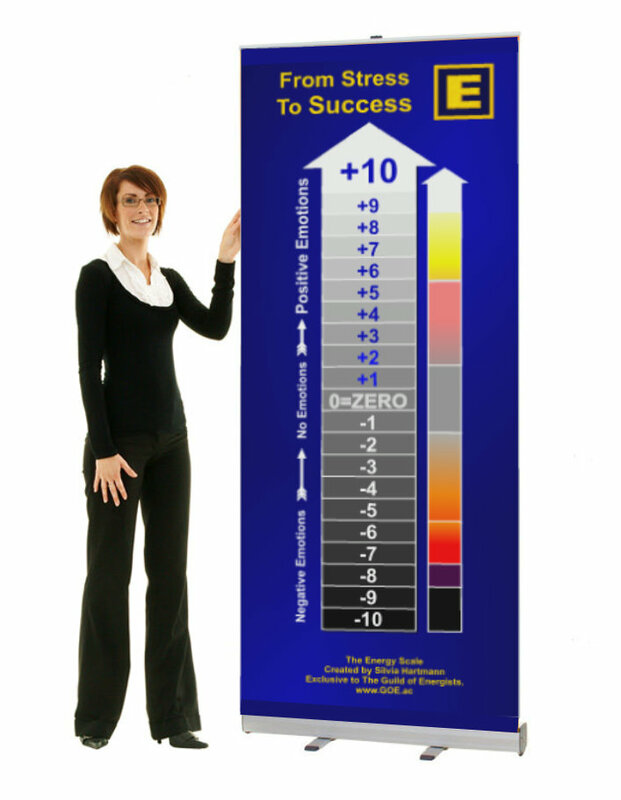 This Guild of Energists "MSM From Stress to Success" coloured SUE Scale Pull-Up Banner, is a great way to demonstrate Silvia Hartmann's SUE Scale (also known as the Energy Scale) to clients and trainees in workshops, live trainings and one-to-one sessions. Pleasing to the eye, professional and colourful, the SUE Scale pull-up banner is the perfect addition to any live event. This high quality 20-page Modern Stress Management (MSM) brochure is the perfect accompaniment to your one-day MSM workshops and gives the reader all the basic knowledge they need to be able to go from stress, to SUCCESS! 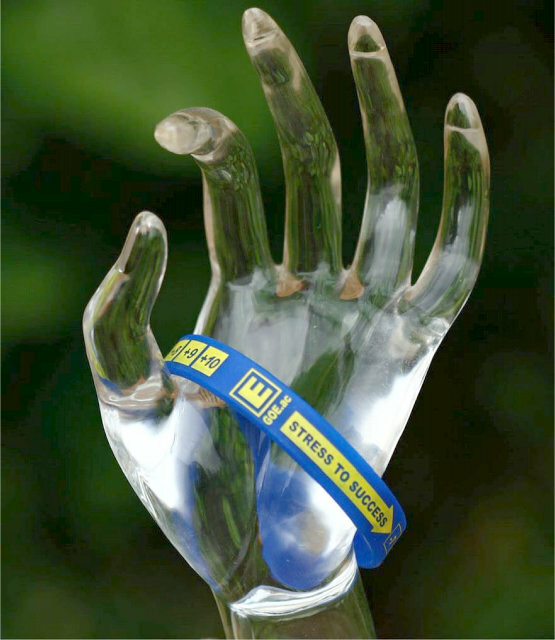 These high quality Modern Stress Management (MSM) silicone wristbands make for great gifts at your MSM workshops and talks, and helps the user easily identify on the SUE Scale, at what level of stress they are currently at. These high quality tri-fold (six page) booklets are the perfect way to advertise your Modern Stress Management (MSM) workshops and events. 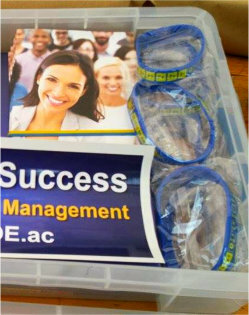 The GoE MODERN Stress Management Promo Pack has all the materials you need to start promoting and running your own MSM workshops and courses, including booklets, flyers and high-quality SUE Scale silicone wristbands. 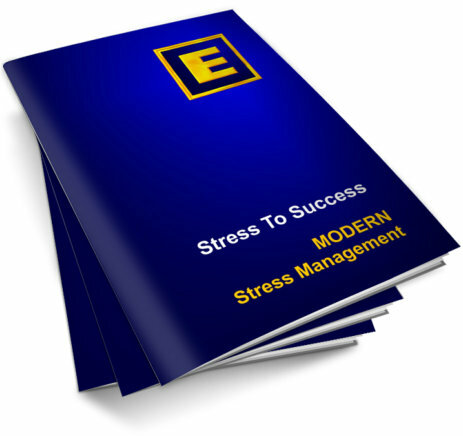 The Trillion Dollar Stress Solution: MODERN Stress Management - From Stress To Success. Very rarely, a book comes along that has the power to change the way we see the world. 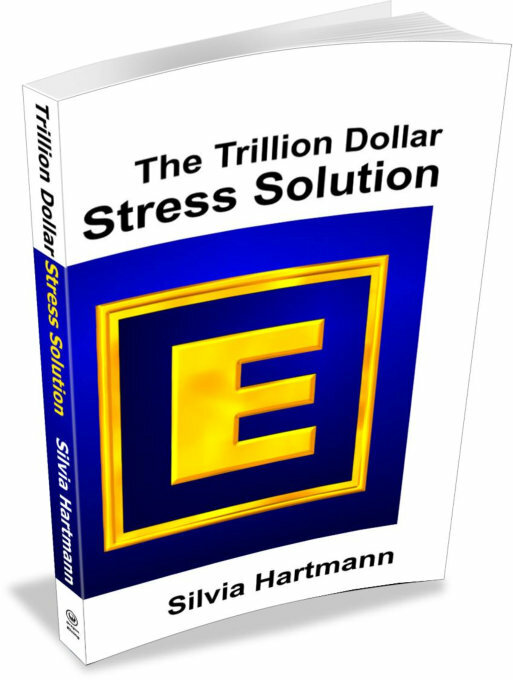 Silvia Hartmann's extraordinary The Trillion Dollar Stress Solution is that book. Controversial, adversarial, and fundamentally revolutionary, this book delivers exactly what it says on the tin - the definitive solution to The Trillion Dollar Stress Pandemic, and the master key to success in life for individuals, families, companies, societies, and in the end, all of humanity.